Southern live oak (Quercus virginiana); hung with Spanish moss. Photo by melystu/Flickr (Noncommercial Use Permitted with Attribution/No Derivative Works). Coastal towns and cities in the south often have hurricane-resistant live oaks arching over the streets in historic neighborhoods. 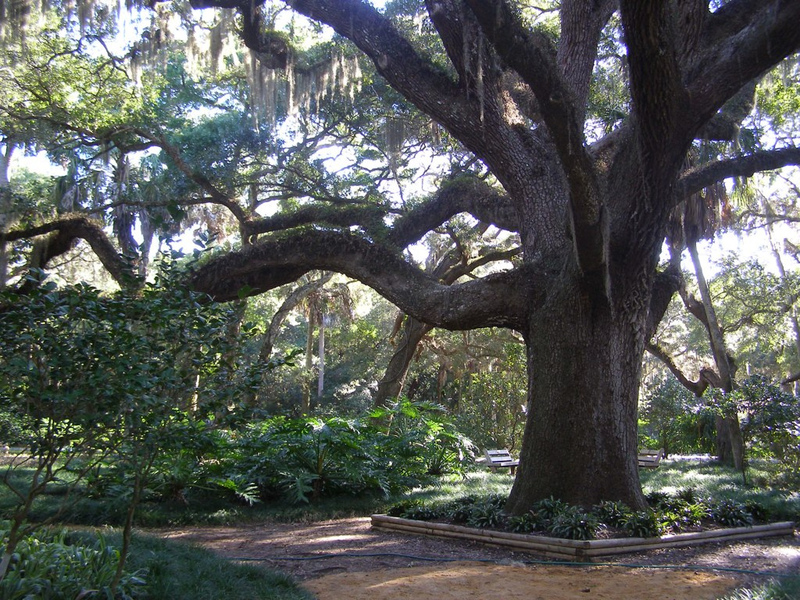 Live oaks are the iconic southern tree seen on postcards draped in Spanish moss. 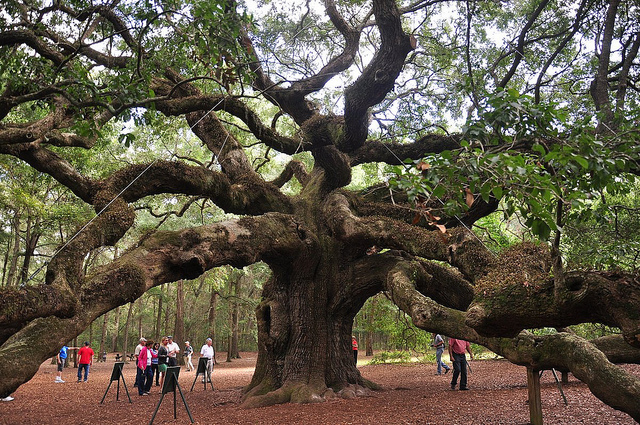 Ancient live oak tree - The Angel Oak; photo by AnubisAbyss on Flickr (noncommercial use permitted with attribution / share alike).